The Fijian amateur boxing team took out the Test showdown against Papua New Guinea 4-2 at the FMF Gymnasium in Suva last night. 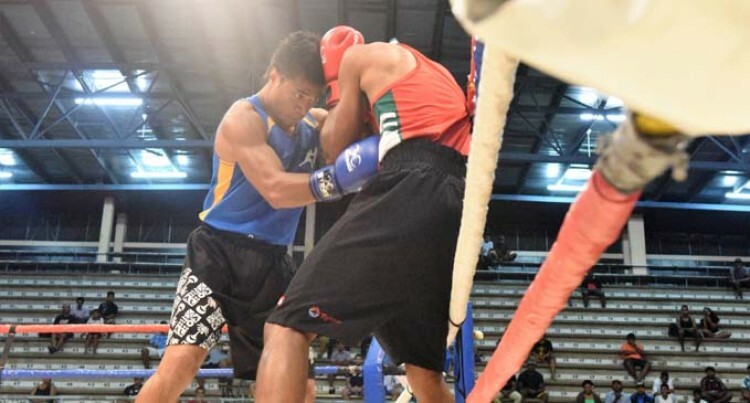 Fiji Amateur Boxing Association (FABA) president, Manasa Baravilala said this is the start of their international Test matches. “We are taking on Nauru in a Test match next month,” Baravilala said. Team Fiji got to an impressive start when last minute replacement, Nathan Singh, scored a unanimous point decision over an experienced John Ogogo in the 56 kilogramme. Singh used his reach to score his jabs and was very elusive when Ogogo came in looking to land his knockout punch. In the 60kg, hard hitting Cornelius Inapi turned the tables when he easily outpointed Pauliasi Ratu Junior. Inapi’s powerful body punches took its toll on Ratu who’s fitness was a suspect. The 64kg was a thriller when PNG slugger John Ume had too much firepower for Jone Koroilagilagi. Ume thrilled the 300 crowd with his body punches and slick jabs which bloodied Koroilagilagi’s nose. The ring doctor had to be called in five times to check on Koroilagilagi. Down 2-1, the Fijians turned to Winston Hill who used his experience to beat an inexperienced Simon Midlner in the 69kg. Hill was not fit but used his experience and managed to score his big punches due to Midlner poor defence. Referee Walena Vugakoto kept a tight control and twice had to do a standing eight count on Midlner. In the 75kg Josefa Ravudi Jnr fought bravely to beat a tough Peter Miria on unanimous points’ decision. Ravudi put on a gutsy performance as he took the fight to the Papua New Guinean as his punching combination found its target. Then in the 91kg Nemani Rokobili sealed Fiji’s Test win with a points decision win over Tala Kami.